Transitory; brief; momentary; passing; cursory; short-lived; fleeting; temporary. All meanings behind the word ‘Ephemeral’. Moments in time, captured in a snap. Aren’t cameras wonderful? Quote | This entry was posted in Birds of a Feather, Family Life, Weekly Photo Challenge and tagged Animals, birds, daily post, Ephemeral, Longleat Safari Park, postaday, Weekly Photo Challenge. Bookmark the permalink. 😆 I only know the name because one landed on my hubby’s shoulder when we were in Cairns. They are beautiful aren’t they? 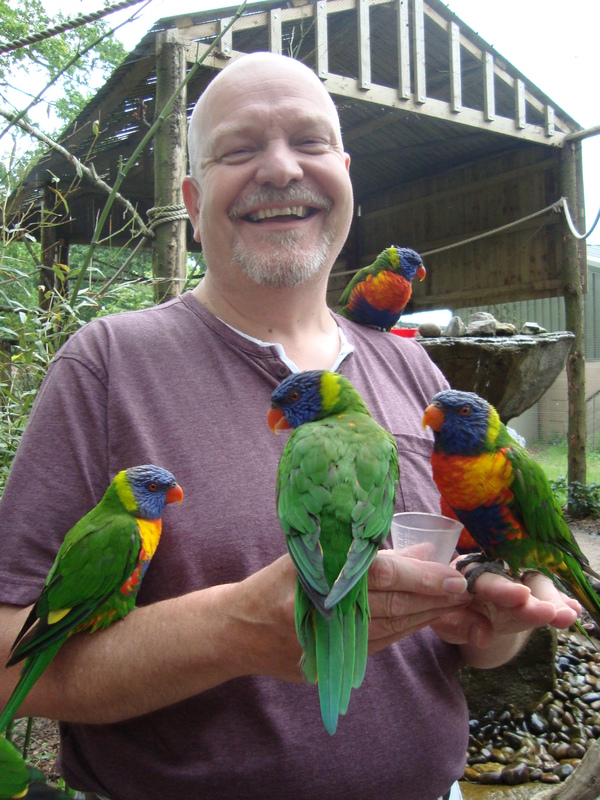 And as I said to Sylvia, I stand corrected, I thought they were called parakeets 😮 You walk in the aviary and suddenly they swarm…hubby loved it as you can see 🙂 Have you ever been to Longleat Jude? Well they are from the parrot family. I think parakeets are greener though. No I haven’t been to Longleat. I once got tickets but never used them! 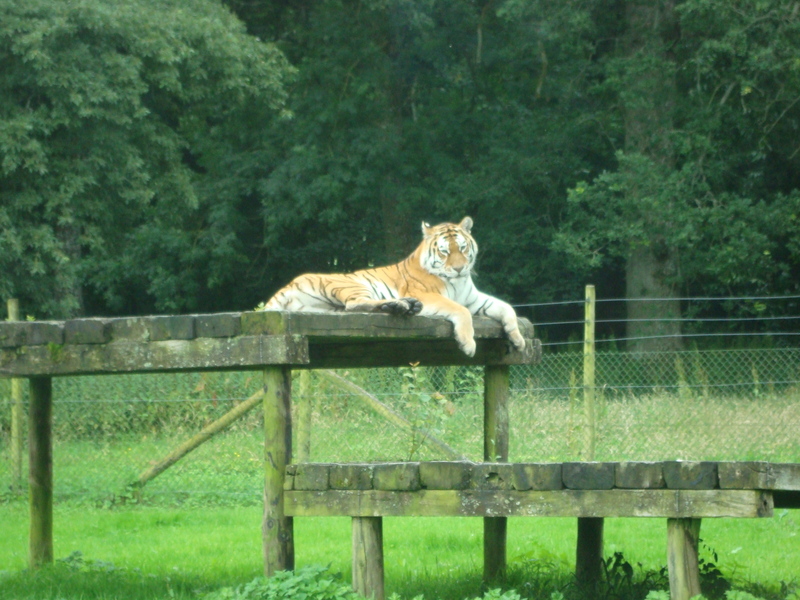 There is a wildlife park in the Midlands too, not so far from us and I have never been there either! Beautiful Photo’s Sherri we see those Lorikeets everywhere out here….where I live, they are so cheeky and beautiful but very noisy. 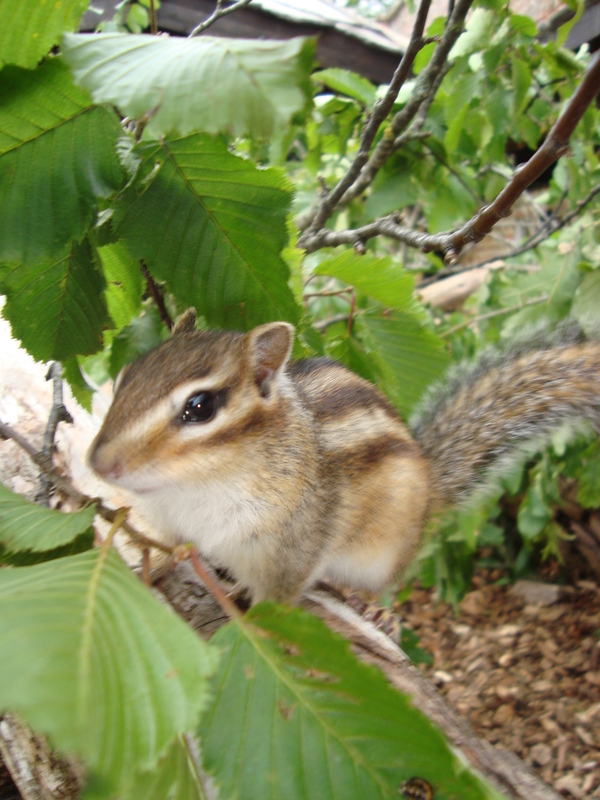 Can we share the chipmunk? 🙂 Happy Easter, Sherri! A quiet one at home? Haha…yes, we’ll share, isn’t he just the cutest? And a very Happy Easter to you too Jo 🙂 Yes, a quiet one, maybe even get some decorating done at long last and some gardening. All well overdue. Let’s see. How about you? Looks like a nice park. It’s nice to see plenty of space for animals to roam. How lovely that they all posed just for you. Quite a great collection of cheeky characters. 🙂 Squirrels and Meerkats are hard to catch photographically. Your hubby looks so happy with those colorful exotic parrots around him! Lovely photos…that squirrel steals the show..
Sherri, some men are “chick magnets” but your husband is a bird magnet, which is beautiful and creates such a total, sweet, colorful and happy picture with all his feathered friends . I thought the first picture would certainly have to be my favorite, but you have a wonderful talent of upping the ante and offering surprises. I enjoyed every picture even more than the previous! Haha…love it 😀 Birds/chicks…well, Hubby was certainly happy that’s for sure! Glad you enjoyed these pics, thank you Marylin! Beautiful photos! I didn’t know you had chipunks in the UK. I live in the desert in the southwest US. I have loads of them in my yard. They eat everything I plant in the garden and aren’t afraid of me at all. Haha 😀 So glad you enjoyed these, thanks Sue, and yes, I adore the chipmunk too! My daughter wants one for a pet (they sell them at a pet store near us) but can you just imagine, with two cats? Utter mayhem! Oh my….and someone told me they can even eat through metal, never mind wood…. Ah nature! I want to go here now, never had this sort of experience of being up close with the beasts, although I have been to a few football matches. The Meerkat is awesome, did you ever watch meerkat Manor, I liked that show. Haha…I have to wonder what’s the difference 😉 I’ve never been to a football match. Well, an American Football match, yes (or game they call it don’t they? Yikes, I don’t remember what’s what anymore) and had no idea what was going on. Certainly heard more than a few roars though. I think I’ve seen clips of Meerkat Manor, they are cute little creatures aren’t they? I hope you get to go to Longleat one of these days…there is bat cave and a gorilla island. Very cool. Oh my gosh, I love all of these. From the majestic to the mini of nature’s beauties. Gorgeous (and cute)! Love how you interpreted the theme. I’ll have to check out this prompt. Lovely photos dear Sherri, I especially like the smiling face of your hubby, he looked so happy! I bet he’s counting how lucky he is to be with his lovely Sherri. I’ve only seen a lion up close once, and that was about twenty years ago in Africa. It must be a magical experience seeing them strutting their stuff around! Have a fantastic Easter my friend! Thank you so much dear Seyi! Yes, hubby was very happy to be surrounded by all those birds, and so relaxed! Notice I was the one offering to take the photos 😉 I would love to see a lion in Africa and a herd of elephants. 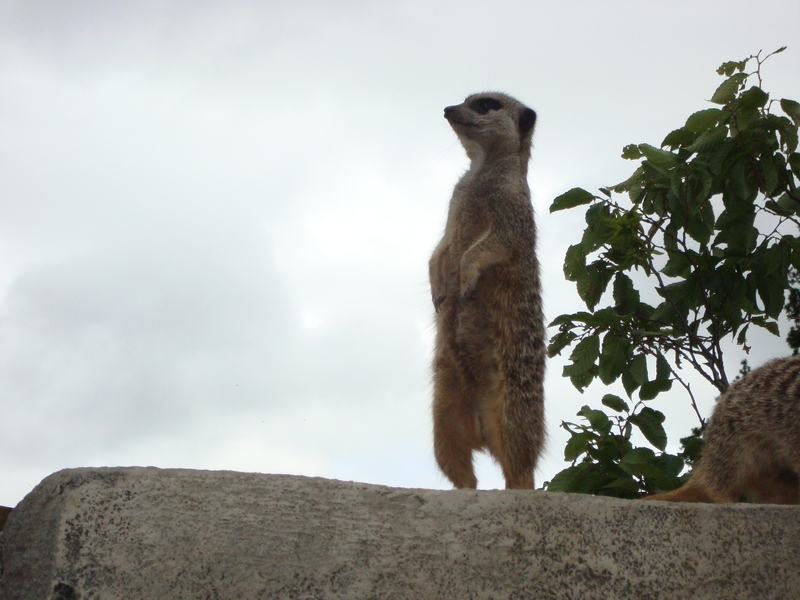 At Longleat you drive past the lions and tigers and then walk with the meerkats, a surreal experience most definitely! I was thrilled to share this special place that I visited as a child with my own children. Magical indeed. Thanks my friend, I had a lovely Easter, hope yours was great too! Haven’t been to Longleat since my school days, Sherri, so thank you for bring back some memories of monkeys breaking the windscreen wipers off my father’s Morris Minor car. Such a laugh for me and my sister, but not for mum and dad. Great photos of these wild animals. So good to see they all have huge amounts of space to run off and disappear into. Wonderful wildlife photos Sherri. What a great place for the animals. Great photos Sherri, particularly love hubby and the birds – what a joyful photo! 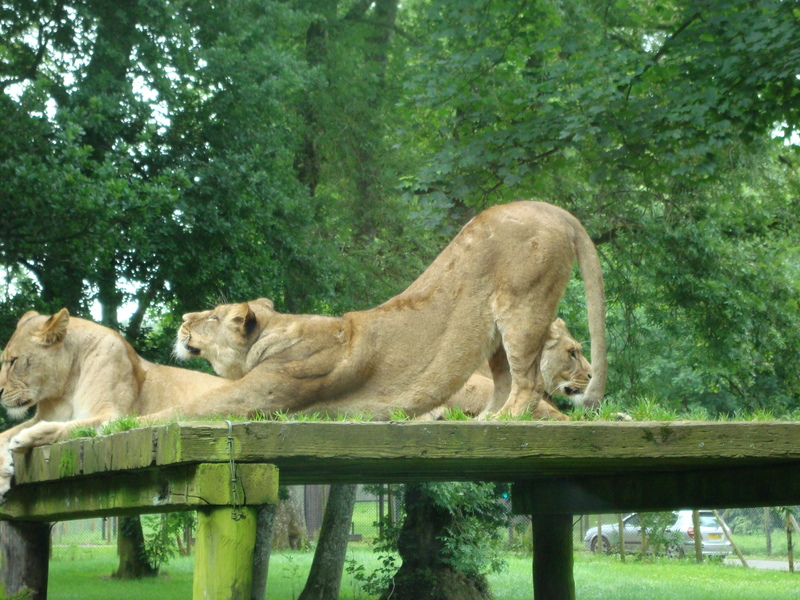 I do vaguely remember going to the Lampton Lion Park when I was small – I have some blurry photos but don’t really recall the experience! and what a creative and personal take on this wpc…. Those are fabulous pictures – great captures, Sherri. I love that shot of your hubby with all those birds! Did I ever mention that my brother used to work at a Safari Park, where he was in charge of the camels? Strange family I have. Your hubby must be a lovely gentle person, if all those birds will come to perch on him, Sherri 🙂 My brother is extremely eccentric and does a wonderful impersonation of a camel spitting! Womderful pictures. Animals are not very cooperative for me which is why I usually stick to landscapes. I wouldn’t mind the birds. When I was a child I used to be sent into the aviary to feed them and Theyd land all over me. Oooh, the chipmunk is adorable, and I love how the parrots just swarmed your husband. So friendly. You’re right. Chipmunks wouldn’t work out with the cats. That would be disastrous!